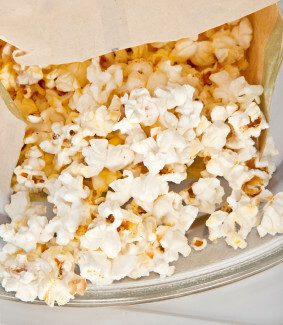 Oil and grease resistance for microwave popcorn bags. Acadia® MicroPop paper is an uncoated, machine-finished paper that offers excellent convertibility and printability for the outer ply of microwave popcorn bags. With superior oil and grease resistant properties, Acadia® MicroPop blocks stains from permeating the outer package, while delivering excellent print contrast to make your brand stand out on your microwave popcorn packaging. Acadia MicroPop™ is custom designed to meet the needs of individual customers. Please contact us to discuss your specification requirements. Contact Us for More Information on Acadia® MicroPopDownload a Specification SheetWhat is kit testing? Learn about kit testing in this quick tutorial.